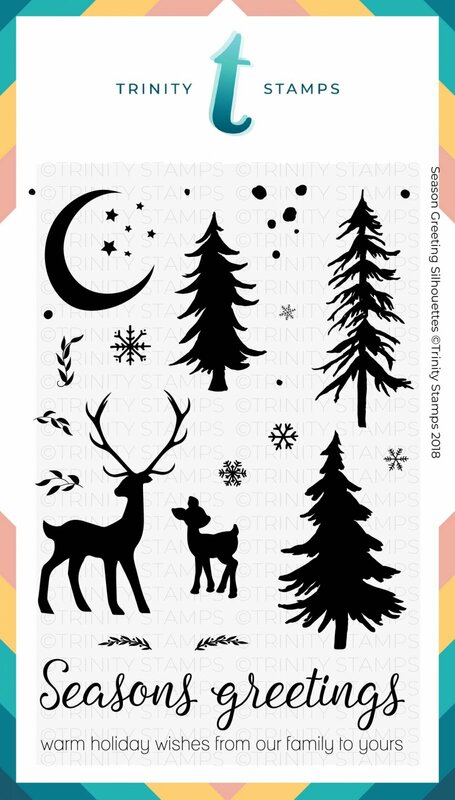 The Trinity Stamps Season Greetings Silhouettes 24 piece stamp set features two peaceful deer, three trees, a beautiful sentiment for holiday cards, and plenty of snowflakes and flurries for a winter scene. 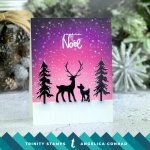 Illustrated by Davina Cantrell for Trinity Stamps. 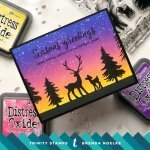 Largest Deer is approx. 2" tall. Sentiment is approx. 3.5" wide.